The cubic and spherical shaped iron pyrite (FeS2) nanocrystals were synthesized in a pure phase form by an efficient hot injection method. 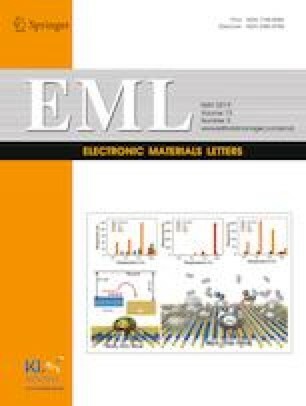 These FeS2 nanocrystals were used as a counter electrode (CE) alternative to the conventional Pt CE in dye-sensitized solar cells (DSSCs) owing to its tremendous optical properties and low-cost. The obtained FeS2 nanocrystalline materials with excellent shape and phase purity were confirmed through XRD and Raman spectroscopy data. From Tafel, and impedance spectroscopy studies, the catalytic activity FeS2 CEs are found to be comparable with that of Pt CE. 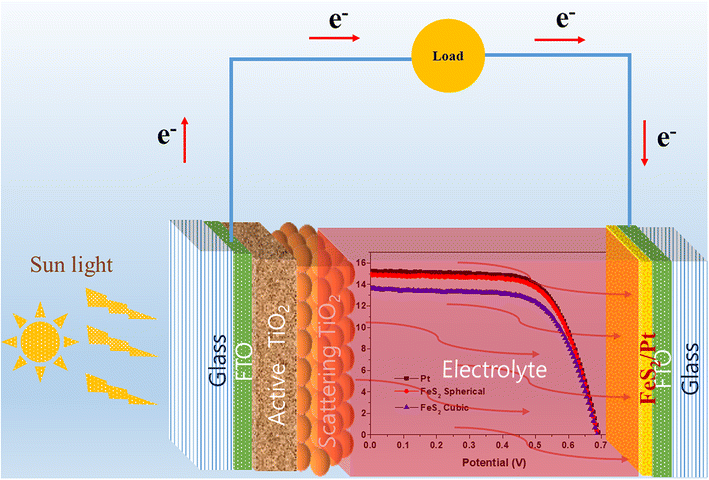 Along with the I3−/I− electrolyte, photo-conversion efficiency is found to be 6.9% (spherical), 6.2% (cubic) for the FeS2 CE, and 7% for Pt CE. The excellent performance of the FeS2 CE in DSSCs makes it a distinctive choice among the various CE materials studied including low-cost photovoltaics. The online version of this article ( https://doi.org/10.1007/s13391-019-00140-z) contains supplementary material, which is available to authorized users. This study was supported by a grant from the Fundamental R&D program for Core Technology of Materials (10050966) funded by the Ministry of Knowledge Economy, Republic of Korea. This work was supported by the “Human Resources Program in Energy Technology” of the Korea Institute of Energy Technology Evaluation and Planning (KETEP), granted financial resource from the Ministry of Trade, Industry & Energy, Republic of Korea (No. 20174030201760).